Samsung is to invest 25 trillion won (£17 billion) in areas such as Artificial Intelligence (AI), 5G and components for connected cars as it seeks to protect itself against smartphone saturation. The Korean giant is the world’s leading manufacturer of smartphones and memory chips but slowing demand in more developed markets has seen it seek other sources of growth. According to figures from IHS Markit, Samsung’s shipments fell 10.8 per cent to 70.8 million during the most recent quarter as the Samsung Galaxy S9 failed to fend off competition from the likes of Huawei. This still gives it a market share of 20.6 per cent, but even Samsung acknowledged in its results that sales of its newer devices hadn’t been as good as excpected. “Today’s announcement follows many months of deliberations and review by the management and board of directors of different Samsung companies that will make the investments, including Samsung Electronics,” said the company. It plans to become a leader in the market for 5G chipsets while also ensuring it is in position to capture demand for new applications in autonomous cars, the Internet of Things (IoT) and robotics that will be enabled by next generation networks. 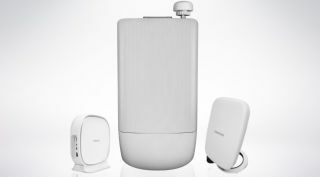 In addition to components for devices, Samsung also sees 5G as a chance to transform its network equipment division into a major player that can compete with Ericsson, Huawei and Nokia. It has been involved in trials of Fixed Wireless Access (FWA) broadband with Verizon in the US and with Orange in Romania among others. There are plans to increase the number of advanced AI researchers at its AI centres to 1,000 while there will also be an expansion of its semiconductor manufacturing capabilities to cope with demand for AI, 5G, data centre and connected car components. In total, Samsung expects to create 40,000 jobs over the next three years.